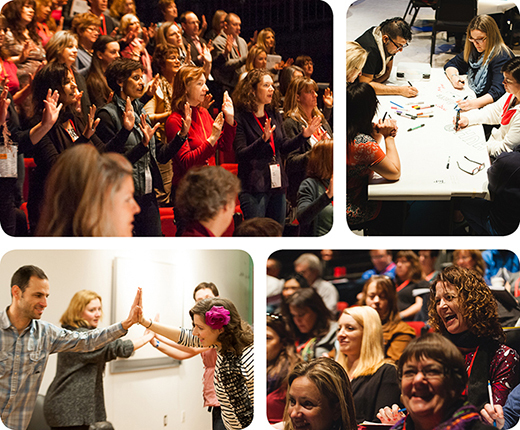 Registration is Now Open for ArtStarts Showcase and Conference 2015! 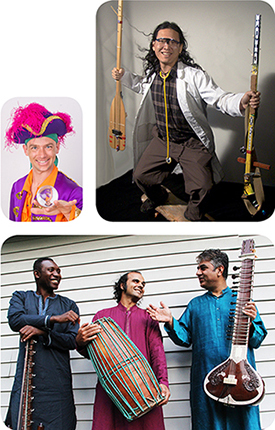 Educators, administrators and community presenters interested in booking performances for young audiences are invited to attend the annual ArtStarts Showcase and Conference, taking place in Vancouver from February 25 to 27, 2015. The ArtStarts Showcase and Conference is Western Canada's most important performing arts showcase and conference for school and community arts programmers interested in booking performances for young audiences. Over 100 delegates from all regions of BC attend each year. This year's event offers many opportunities to discover the arts, engage with delegates and artists, and explore how you can activate learning for young people. An exciting evening of "Dinner and Discovery"
Engaging with artists in the Contact Room: new this year! Early bird rates are available until January 15, 2015. Representatives of BC school districts who are interested in attending the ArtStarts Showcase and Conference 2015 are eligible to apply for a partial subsidy which has been made possible through BC Arts Council and the Province of BC. All representatives living outside the Lower Mainland are eligible to apply for this partial subsidy to help offset travel, accommodation and TOC costs. Priority will be given to representatives living in rural and remote districts. The deadline to apply for the subsidy is January 15, 2015.